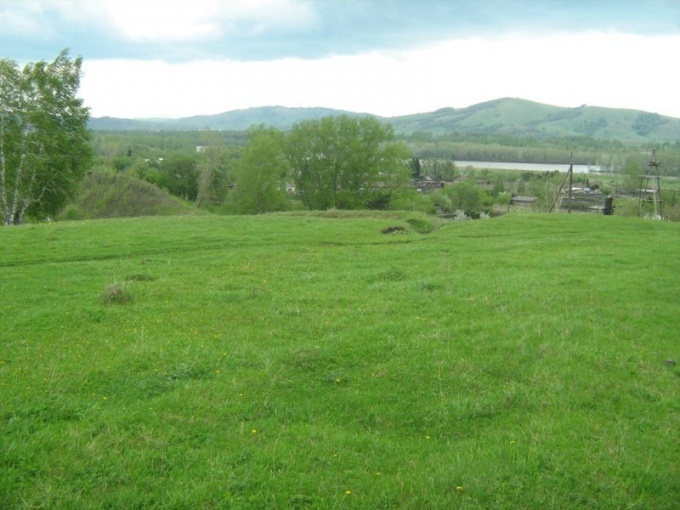 Obtaining a land plot for construction governed by the Land code of the Russian Federation. 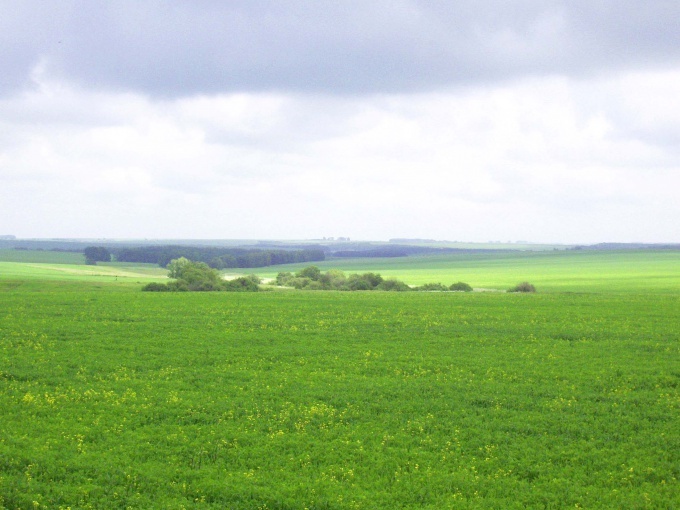 There are two options for obtaining the land: with preliminary coordination of a place of placing of object and without it. To obtain land for construction in the lease or in the property. 1) the plot under construction is formed. Carried out cadastral works. 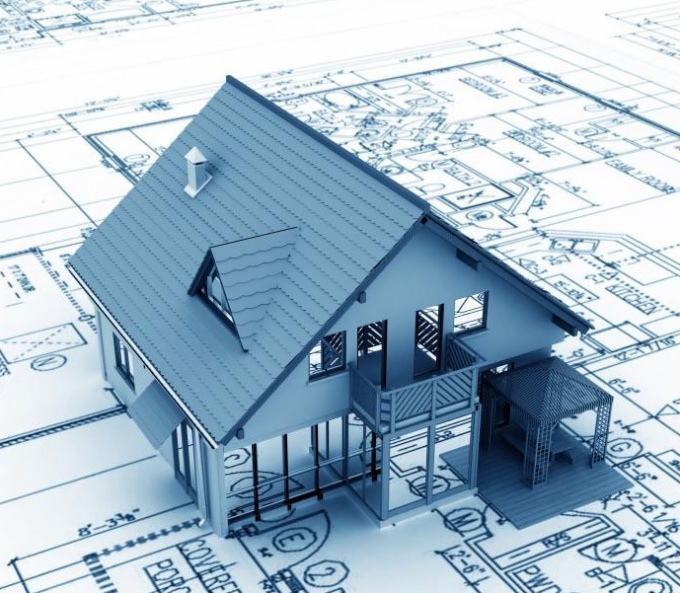 2) defines the permitted use of the land (in accordance with the Rules of land use and development and the General plan of the city or locality), determined by the technical conditions of connection of future object to networks engineering-technical maintenance, fees. 3) a decision on tenders, competitions or auctions or to grant land without such bidding. 4) in case bidding contests or auctions, posted the message on their carrying out. Otherwise, the accepting of statements of grant of land. 5) start trading, after their meeting signed a Protocol. If the auction received only one bid, then the site is provided to the person making such application. Is the contract. 1. selected land plot. To select it you need to contact the Executive body of state authority or local government (in Moscow, for example, district councils), a statement of land plot selection. 2. the authority shall notify the population residing near the selected land, the provision of land for construction, as well as owners and tenants of neighbouring lands. 3. issued certificate of land plot selection, the decision on the approval of the location of the object. 4. carried out cadastral works, land is put on the cadastral account. 5. the decision on granting the land plot for construction. A corresponding order is issued, a contract. It should be remembered that contracts (lease or sale of land) required to register with the Federal Registration Service (FRS), as the rights to land plot from the owner or tenant will arise only after the registration of the lease. More and more people nowadays are buying vacation homes or areas under constructionto live in nature away from the city and to have your own house. 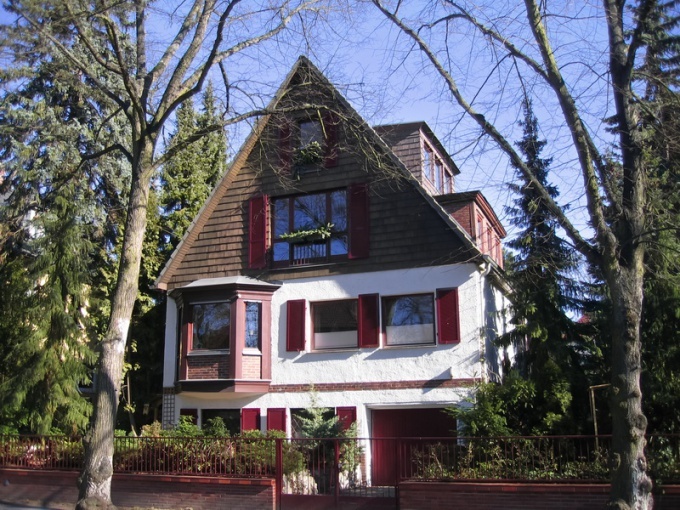 The advantages of a private house in front of the apartment is undeniable, but many people stop the financial component of home construction, and not all imagine the process of buying the land needed for the construction. In this article we describe the main stages that you must pass in order to obtain the plot. Go to the administration of the settlement, to which the desired land plot, and order your copy of the topographic plan of the terrain on which you will be able to view the territory in scale of 1:500 and choose the land for the area, focusing on already built-up area. Choosing the land plot in territorial terms, apply to the administration statement to determine whether anyone in this land the right of ownership. Before the end of the clarification of the right of ownership of land you will have to wait a few days. After clarification is completed, you will have two choices – if someone else has ownership of your chosen plot of land, confirmed by documents, you will have to find a new land, repeating all the previous steps in the administration. If the site is free, on the topographic plan will be a corresponding mark, and you will have to write another statement in which your plot will test the validity of construction of residential buildings. If the site no objects, prohibiting the construction (e.g., pipeline), copies of the plan will be another mark to allow the construction. Then write a third statement to the administration, requiring permits for individual housing construction on the chosen site. Attach to the application copies of the topographic plan with all notes and certificates you have received on previous statements. After you submit this application you will have to wait some time while the administration and the Department of real estate will not consider it, and will not come to any decision. If your documents are not violations, and all rules conform to the norm, the land plot put up for auction in the official media. After the announcement of the auction you need to wait another month. If during this period appeared willing to buy the plot, you will have to buy land at auction. If no purchase requisition is received, then after a month the land is transferred to you as a tenant. The right to lease is issued for three years – this period of use in order to build up the plot. After completion you can register the land in the property. Currently, Russian legislation provides for the transfer of land leased to citizens for construction on residential homes. Such sites after the state registration of the premises become the property of the person who carried out the construction. 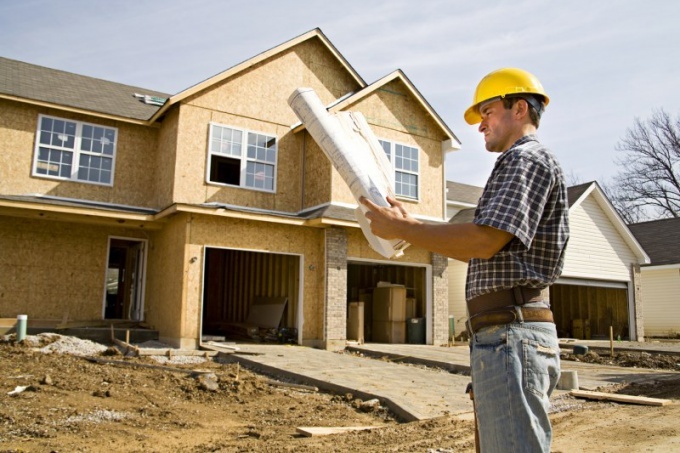 In order to obtain a land plot for individual construction, the citizen should contact the administration of the municipal district where he lives. Usually the statement is attached questionnaire by the established sample, and also a certificate stating that in the locality where construction is planned, the citizen has no residential house. This statement is considered, usually within thirty days. After the decision of the Department of architecture and communal services give the developer the plot. A citizen is a lease, signed the act of transfer of land, will be handed out a plot plan with clear identification of boundaries. If a citizen received a plot, started construction within the period specified in the contract, then this document ceases to have effect at the time of his graduation, and the land plot returned to the property of the municipality. As a rule, the land lease term shall not exceed three years. - heroes of the Soviet Union and the Russian Federation. If a citizen exercised the right to obtain land, the next land, if a citizen will need their receipt, be submitted for a fee on a common basis. In Soviet times, it was the coveted "6 acres", in the restructuring of the plot for potatoes and today's youth dreams about a cozy house by the sea. Will do, however small a plotif for free! To free use a piece of land in the age of "gain", but it will require patience and perseverance. 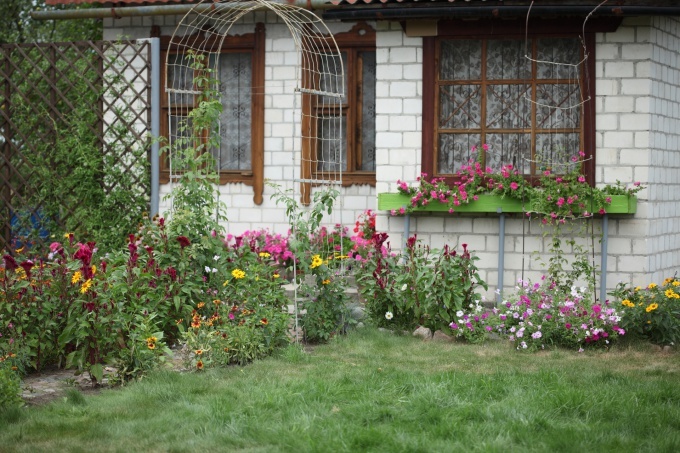 In each Prefecture of the Moscow district have a specialist that deals with the allocation of garden plots. If you or your family have privileges, then the plot can be obtained by writing a statement and waiting for their turn. In the group of beneficiaries included veterans of the great Patriotic war, the disabled, families with children. To try to contact the Council you can and if you have no benefits, but there is hope. You may be put in place. 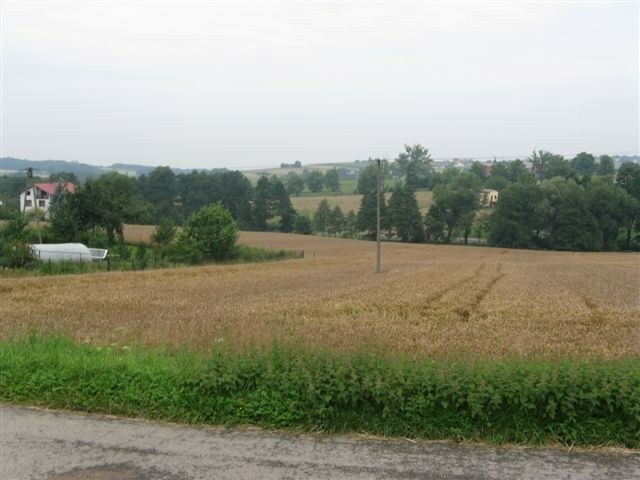 Land give away from the town of (100 - 150 km), but in areas with good environment. If earlier "6 acres" was allocated fully for free, now gardeners have to shell out: preparation and obtaining of documents of title is 15-30 thousand rubles. In addition, you will have to pay for the construction of roads within the site, fencing, water intakes, fire ponds, electricity. A beginner summer visitor will have to pay 5-10 thousand rubles a month during the year. But after three years the land could be purchased. In Moscow in 2011, officially registered about 40 thousand beneficiaries. The queue lasts for several years. If you or your family spelled out in the countryside you can get a free plot of land for construction of houses. For this the local administration you need to write a statement. It is applied by the help that you need in the ground. This paper was also obtained from the district administration. Well, if you are categorically against the bureaucracy and queues, you can buy land in the neighboring area for very little money. 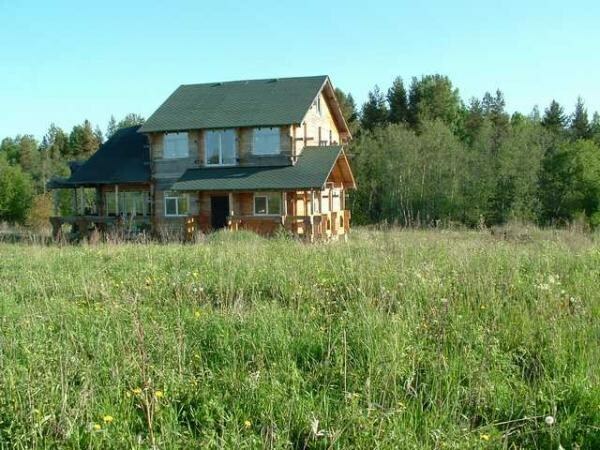 For example, a house in the village in the Kaluga region with the area of 30 acres can be bought for 40 thousand rubles. Some find cheaper. The distance from Moscow is rather big, but if you like you long to relax in nature, can't live without hunting and fishing – this is your option. Recently, a special popularity began to acquire a country house. To build your own cottage, you first need to purchase the land plot. We will not list the numerous benefits of such property. The only thing that stops people is financial constraints and the apparent difficulty of obtaining land. First, you must contact that city, in which territory you want to build a house. There you can order a copy of a topographic plan, showing the free and busy areas. In most cases this map is printed at a scale of 1:500. Once you have chosen your land, you must submit a statement to indicate the presence of the owner to the territory. This procedure takes several days. In that case, if the site is free, you can move to the next stage. If not, you will have to repeat the previous steps. Now you have to write another statement to the administration, which will check the selected area to the possibility of building residential buildings. The fact that this site can pass the pipeline will be located or other dangerous objects. If everything is OK, then you have the plan should be two marks: the site is free, the construction is permitted. The following statement in the administration will address the issue of the possible construction of a private house. Along with this paper you must also submit a topographic plan with positive marks and other certificates issued to you. In most cases, the decision will have to wait a while, since the administration needs to coordinate such actions with the Department of real estate. Once the permission is granted, the land will be auctioned, will be reported in the media. Within a month the administration is going to applications from those wishing to purchase this site. If any, you will have to compete with them and buy land according to the bidding rules. Otherwise, you get selected the land lease for three years. during this time it is necessary to carry out construction works. Only at the end of the time you can get this land. Today land may be free only for a certain percentage of the population. Categories of citizens entitled to free provision of land plots and the rules for obtaining the latter are determined by the Land Code, Federal laws and laws of subjects of the Russian Federation. The list of citizens having the right to free land, in the regional laws may vary. By law to provide citizens with suburban land should the local authorities at the place of residence. Contact your local Council for advice. Apply to the administration of local government. They will register it and will add you to the queue. If you fall under the category of citizens who have the priority right to receive land in accordance with the legislation of the Russian Federation, you must include in a separate list. After compiling the lists, representatives of the local Council of your place of residence refer to local management, head of Fund of land redistribution. And this body will offer you options for granting land plots or refuse to get it. It then creates an Association of cottagers and land transferred free of charge to this partnership. You will be given a plot in the property after approval of the project of organization and development of the territory. If you are refused the grant of a plot, you have the right to appeal this decision in court. There are groups of citizens who are by law to give free land for the construction of housing. The availability of land in perpetuity. If you already have a perpetual use or lifetime inheritable possession of land and want to make it their property, in this case, you must write a letter to the appropriate government and provides a contract confirming his right to permanent use of land. Belonging to a separate category of the population. The main categories of citizens included in the list, it's veterans, military personnel, young families, large families, young professionals in different fields categories may vary. Under Federal law they have the right to free land. Depending on which category you belong to, you have to provide a specific list of documents. - copies of passport pages.Other documents depending on the category, all copies must be notarized. help their local government, with information on area housing, placed on one family member. form No. 9 (information and registration). extract from the state registry about your right to immovable property (of the rights to land and homes) or notice of lack of such rights. form No. 7 (characteristics of dwellings). To live in their own house is a dream of many. Stops the issue of land for individual construction (IZHS), while the process of construction of a private house is only positive. According to the current legislation, namely, article 30.1 of the Land code of the Russian Federation, to get a coveted plot of land under construction . To solve the problem of obtaining land for individual housing construction it is necessary to Look under the construction of their home free of land. Come to the district administration, which includes the plot, with passport and write the established sample application for receiving land for individual housing construction. For the purposes of individual housing construction are suitable only free from the rights of ownership of land. The application will be considered within 2 weeks. At the end a decision will be made about the plot. He will either be allocated to hire or be appointed an auction for its sale. The local authority may publish a notice about applications for the lease of the land. If the ad for a month no one will respond, the claimant receives his rent. If there is at least one more statement, then held an auction between the applicants. After the diversion of the plot to the applicant, and the Department of municipal economy and architecture enter into a lease agreement. Then signed the instrument of transfer of the land. With it, the citizen receives the plan, the land received with a clear indication of boundaries. The citizen is obliged in a period specified in the lease agreement term to master entrusted to him the plot. If during this period it is not built on a rented plot house, the municipality withdraws the land back. Article 30.1 of the Land code, there is no exception in the order of allocation of land for individual housing construction for families having persons with disabilities in the composition, for persons with disabilities. However, the laws of constituent entities of the Russian Federation stipulate preferential conditions for obtaining land under IZHS disabilities, families with disabled people and other preferential categories of citizens. Use right for a plot of land for individual housing construction is possible only once. If a citizen will require follow-up sections, they are provided in General terms with the appropriate fee. Carefully review the Land code and laws on provision of benefits to the area in which you plan to take land for individual housing construction. 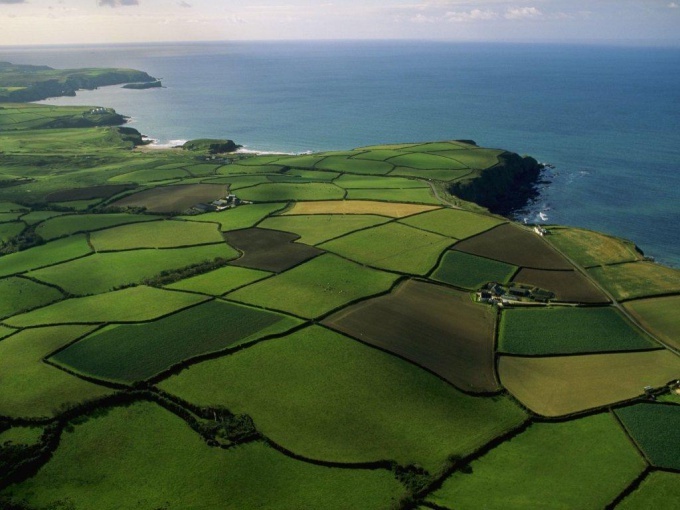 Consult about all possible options for obtaining land. Land can be obtained in accordance with the Land code of the Russian Federation and with the law on support of poor citizens. Depending on the situation, the plot will be given in fixed-term or perpetual lease. It is also possible to obtain land for a fee, for free or for 2,5% from cadastral cost. In any case, you should apply to the administration and to submit a list of required documents. - registration of property rights. If you want to obtain a land lease or property, contact your local authority. Write a statement on the proposed form. Please submit a copy of all pages of a passport, certificate of family composition and a certificate stating that never before did you not receive free land from the state. To get the help you need in all localities in which you lived previously. If you want to plot in the property for individual housing construction, contact administration, a statement. You will be notified about the beginning of the auction. If during the auction you will be able to area, it will issue a lease for the entire construction period, but this time will be limited in accordance with the laws of the Russian Federation. After construction of the house you will pay 2.5% of the cadastral value of the land and will receive a decision by the administration to transfer the land in the property. In this case, the area will have boundaries, cadastral certificate and cadastral plan. You will only need to enter the house in operation in accordance with generally accepted norms, to extract from the cadastral passport of the house and grounds, copies of the cadastral plans of objects and register their ownership rights. If your family belongs to the category of beneficiaries listed in the additional resources that apply to the administration, the documents of beneficiaries, certificate of family composition, passport copy. Your request will consider and will put your family on the waiting list to receive a plot. In all cases, except for the auction, obtaining a cadastral passport, to conduct the survey, you are required to do for their own money. As soon as the administration will make a decision about providing your family the land, call the engineer on cadastre of USCC. On the basis of the accomplished work you will produce technical documents that you will submit to the office of cadastre. On the basis of the plot is put on the account and issue a cadastral passport for it. You take from him a statement and a copy of the cadastral plan. Make photocopies of received documents and submit them to the administration. You will be given a decision on the transfer of land ownership. All the documents submit to WFRC to register the right of ownership and obtain a certificate. The results of land made in accordance with the instructions of the Land code of the Russian Federation, Federal laws subject to the legislative decisions of the constituent entities of the Russian Federation. To obtain land from state ownership on a paid basis or free of charge or rent, you should gather a number of documents and to contact the district municipality. - your passport with a residence permit. To obtain land from the state, contact the local municipality. Fill the application form of the proposed form. You will be asked to participate in the auction, which take place systematically after the submission of a sufficient number of applications. If you receive a parcel in the course of trading, one will be provided for rent for all the time you will produce the construction. But this time will be limited and specified in the lease. If the specified time you will not have time to enter the shelter in operation, the rent will be doubled. If a building is commissioned, you will receive a decision on the transfer of land property for 2.5% of the cadastral value of the land. Resolution will be attached the cadastral extract and copy of the cadastral plan, as all the plots obtained in the course of the auction, have the cadastral passport, number, delimited and registered in the land Committee. If you belong to the category of beneficiaries, on your statement and in turn you will be given a plot of land absolutely for free. 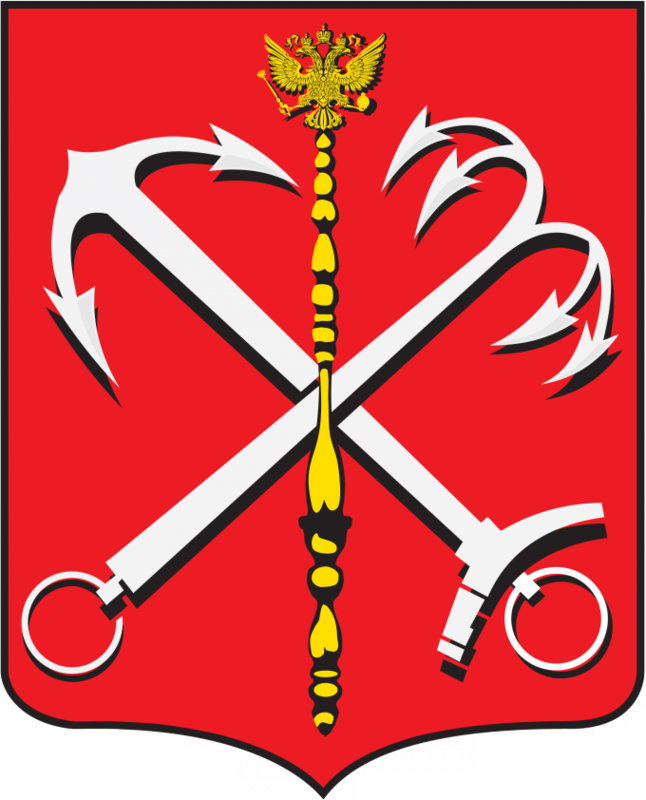 To categories of beneficiaries are veterans and participants of great Patriotic war, participants of military actions and persons equated to them, large families. Land can issue in the property for free persons who have received it in rent and never made out in a plot of land provided by the state, and if the plot is a structure owned by a citizen. If you belong to these categories or you have a building which you have erected on illegally occupied territory, contact the local administration with the statement. Apply to land cadastral passport, you will have to do at his own expense. The administration will make a decision on the transfer of land in ownership free of charge. In the Leningrad region to the earth can many categories of citizens, provided that the documents submitted for the consideration of the special committees will be complete. Depending on belonging to one of the categories of citizens entitled to receive land for individual housing construction or farms, you will have to gather certain documents for the consideration of the special Commission of the regional administration. The basic condition for all citizens is living on the territory of this region for at least 5 years. The right to free land is granted only once. 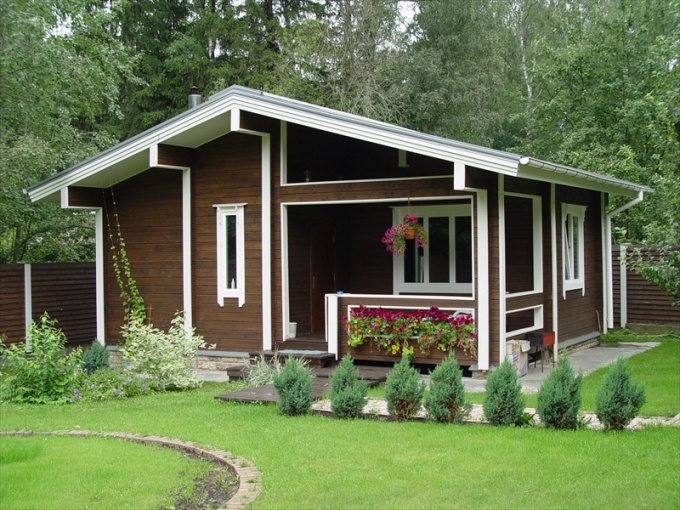 According to the legislation of the Leningrad region, the land you can rent for up to 3 years. If you do not have time to build on this plot a residential building, the land returns to the property of the state. However, if you provide after 3 years of convincing evidence of your bankruptcy during this time period will be increased by another 2 years. If you have erected on the leased land the house within the stipulated period, the land becomes your property, as well as living space. - to the young specialists the public sector (under the same conditions). By the way, this category of citizens has the opportunity to obtain land without regard to the period of residence on the territory of the Leningrad region. Legislatively fixed possibility for any legal person or citizen to obtain ownership of land. The implementation of this law has some peculiarities. - information about the benefits (if any). 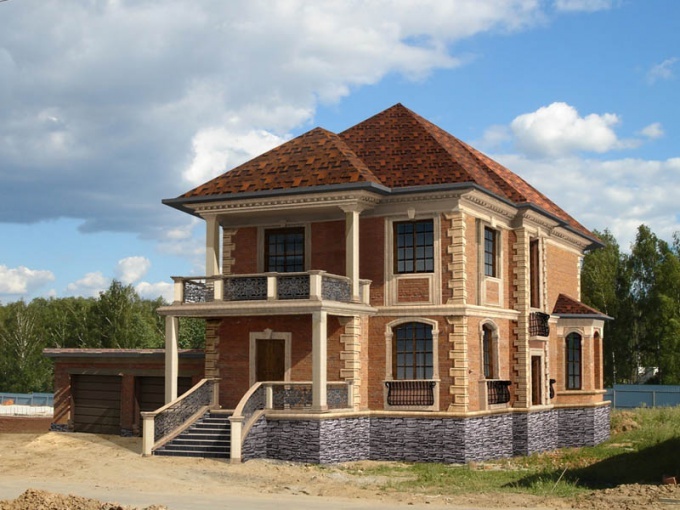 According to the Land code of the Russian Federation, in municipal or publicly owned areas of land can be allocated in the property of legal persons or citizens as for a fee or for free. The main one is the provision of land for any use for a fee, except in cases governed by Federal laws and local laws of the Federation. For the land for construction of residential houses it is necessary to choose the location of the specific land plot and to appeal to the local Committee of this district for management of property and ground relations with a request to write the cadastral parcel number. If the parcel is not yet highlighted (cadastral number is not assigned), you must apply to the local authorities a statement on the allocation of land for private construction for a period of 3 years. With the visa of the head of administration of the territorial unit (village, etc.) back in Quito (making a copy of this document), and then in the week of approval of application to the district administration. After this period, in Quito get the letter fixed-form notification at your chosen site and submit it to local newspaper for publication. Within one month of the date of publication of the newspaper expect, not whether there will be other contenders for this site. If this happens, the site will be put up for auction. Several copies of the newspaper will let you. After a month of waiting should be a copy of the application and Newspapers to clarify Koiso, what's the news on your site. If other applicants it is not there, you will be directed to create a development plan of the Architectural-planning Bureau. This procedure takes two weeks, after which the plan needs to get to the head of administration of the settlement and to obtain permission to build a house. The whole assembled package of documents provided to the office, fixing the boundaries of your plot. This procedure lasts for about 3-4 months. After receiving the documents, you must submit them to the assignment section of a cadastral number (if it has not yet been rated). So, all the documents on hand and can be Quizo for the contract on the lease of the area for 3 years, during which it is necessary to build at least 70% of the future house. This is a precondition of privatization, as the house and the land. In cases of deviations from the urban plan, developer shall make the required changes at his own expense. Be sure to make copies of all of get on his hands and handed over for further carrying out procedures for the release of site documents. To build a house and have a smallholding is a dream of every person. "But where to start?" - you will ask. And we should start always with the most important, in this case the earth! Russia has the biggest land in the world, so for its residents to take the state land lease is not so difficult. Order in the administration of the city or village, a copy of the territorial plan of the area in scale of 1:500 and select a land on which no buildings. By defining what area on this topographic map is the most you liked, give your local authority a statement, to find out if someone's right of ownership of the site. This procedure will take a few days. If confirmed the presence of the owner of the parcel, you will have to find another place for construction of houses and again then contact a similar statement. As soon as confirmation of the absence of the owner of the land, write a statement with a request to check the presence or absence of objects, prohibiting the construction of residential buildings. If the site is not laid such objects (e.g., pipeline), copies of the plan will be marked to allow construction. Then write the following, third, a statement to the administration, which pohodnistvo permit construction of housing in your chosen area. The application must include copies of a site plan with all the notes and certificates obtained by the previous statements. Few weeks the administration and the Department of real estate will review your application and render a decision. If in documents there are no violations, then the land will be auctioned, a message which will be published in the local media. After announced the auction, you must wait one month. If will appear wishing to apply for participation in the auction and purchase the land, you also have to participate in them. If there are no bids for the purchase of the land will pass to you at lease use. The right to lease is granted for three years, so you can build a house. After the construction is finished, the state will provide you with the opportunity to formalize land property. It individually sets the Executive authority depending on the purpose of the land.For example, the land under the building (required in advance to agree the location for future facilities) is given for the period which may be required for exactly the same rights and obligations are and tenants (articles 40, 41 of the Land Code of the Russian Federation), the limit exists only in those cases where the land lease agreement contains restrictions on capital construction. If you decide to purchase a land area of 10 acres for individual construction or maintenance of a personal part-time farms, you should know that the district, city or regional government can provide the land either free of charge or in the course of the auction. Contact the administration of your area with the statement for granting to you of the land area of 10 acres. Do not forget to specify the purpose of use of the land. To register this document, you will need to present a passport with a local residence permit. What you give will decide the administration, although you can take the initiative in the choice. Then the parcel will be auctioned. Wait one month and this period of time will be required to ensure that all possible applicants for this land was able to apply for participation in the auction. If wishing to appear, the administration will appoint a trading day, on which you will be notified. The plots put for auction, already have a cadastral number and a passport. Take part in the auction to obtain the right to lease land. Will receive from the administration a decision on granting a land plot, which will include lease terms and the possibility of extension. If you decide to obtain the right of ownership to land, then immediately start the construction of a residential house provided to you on the site, to complete which should be within three years. At the end of this period complete a new cadastral passport, which call the engineer from the land Committee. He will prepare all technical documents for registration. Then get an extract from the cadastral passport and a copy of the cadastral plan. Make photocopies of the received documents and have them notarized. Contact the administration, a statement on the granting of land ownership. Attach copies of all documents. After reviewing the documents you will receive a decree, according to which the land will go into your property free of charge or upon payment of a fee (not more than 2.5% of the cadastral value). Submit all documents to the maintenance service to register the right to property. Plots are in high demand, to receive the queue stretched for several years. 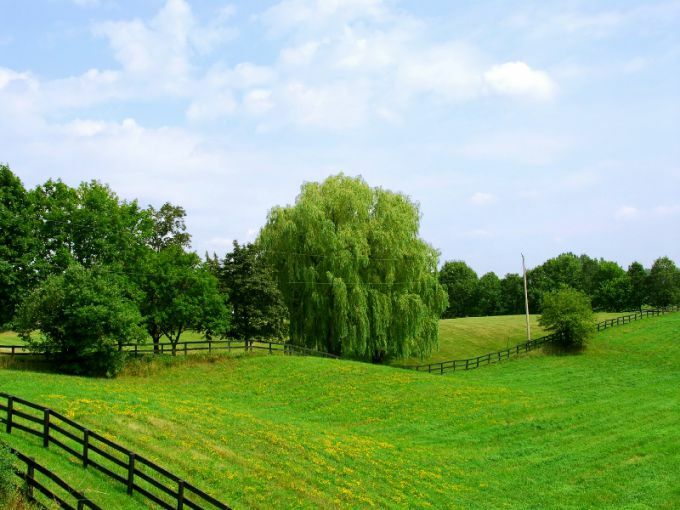 To obtain land for the construction or maintenance of a personal part-time farms, it is necessary to contact the local authorities with the statement. Contact your local municipality with a certificate and a statement. If your community held auctions, the site can be obtained in the course of their conduct. In this case you can be a renter and then the owner much faster. On the progress of the auction you will be notified in writing. If you win the auction, but it depends on how much you are willing to pay for the right to use the land, you have the right to build a house on it. 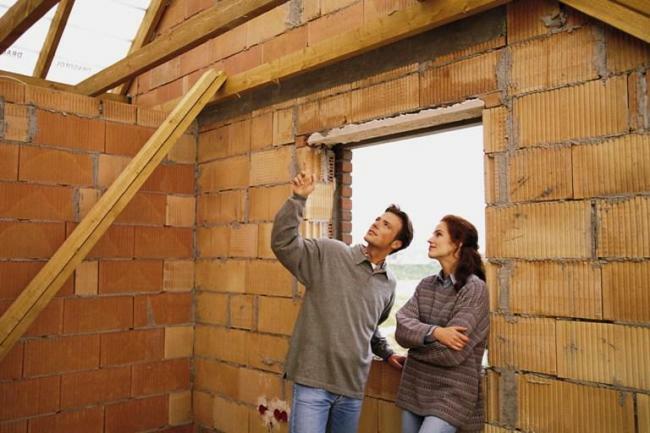 After the completion of the property will give you the right of ownership of the site. If the auction is not held or you are not able to pay huge sums of money for the right to use the land, you will be put in the General queue. Regardless of whether you have benefits for extraordinary or Prime receiving the land plot is decided by the administration. If free land is, then you can get land to rent or property very quickly. In all other cases will have to wait a year or two or even several years. According to the Land code, all land granted for use on a fee basis, but once in a lifetime it is possible to get land from the state free of charge. This right also have beneficiaries. The entire list of beneficiaries listed in additional resources. If you are applying to get a plot for free, not being exempt, please submit a certificate that you never in life did not receive from the state the land for free. This document you can obtain in the administration of all former places of residence. After you put on the queue, constantly contact the local authorities and ask about the promotion of your queue. If you're not gonna do it, then wait for the receive phase will be much longer. Given the plot you are required to delimit, to put on cadastral registration. If you have not granted long-term lease, then register the contract in PPRC to information about the transaction made in the unified state register. 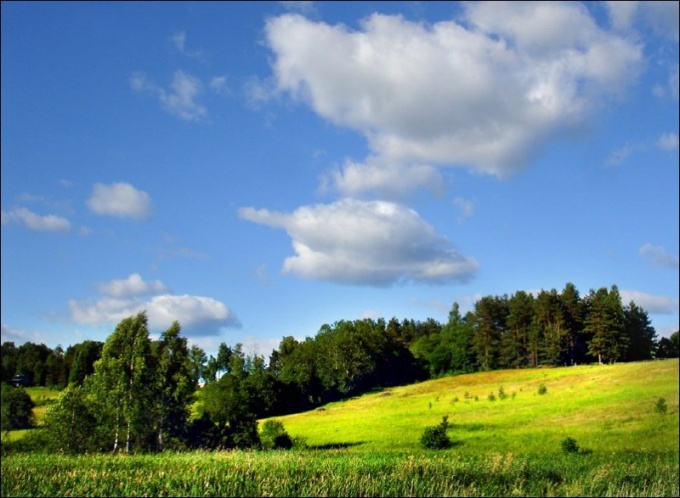 See Land code of the Russian Federation on the procedure for granting land leases and property. Individual housing construction assumes the availability of suitable land. You can obtain it in different ways, depending on your financial status and personal qualities. Get land for individual construction the easiest way – buy it. However, this will require considerable investments, in some cases exceeding the cost of actually building a house. Take the opportunity to obtain land, spending much less. Be prepared that it will take more time and effort. Order in the relevant Executive authority of local government a copy of the chosen land of the topographic plan of scale 1:500. Keep in mind that this is a paid service. Paid for the number of sheets that you need. Write a statement to find out that there are no encumbrances on the land. Attach a copy and take it to the municipality Department responsible for these issues. After about a week you should answer. If you find any delay, so this site is already someone in ownership or something rented. Start path first – search for suitable land, order a copy, find out if there are any encumbrances. If the chosen site encumbrances no, your copy will appear confirming this stamp. Then attach the same copy of the new statement on the audit of land on the "red lines" which prohibit the construction. It refers to the road, strategically important objects such as the gas pipeline and more. Prohibition if not, the copy you put a note or give proper help. Make a special Declaration on the granting of this land for individual housing construction. Attach all previously obtained documents. Send these papers to the Department of land and property relations of the municipality. This is the last large-scale test. If the Commission approves your application, in the local mass media will be the official publication about the possibility of holding a land auction on a selected area. If the application for this land was received, an auction will be held. Usually, this leads to a rise in the ground. If one month after the publication in the newspaper of the statements on this ground is not received, it will be on your lease. For three years it is necessary to construct something so as to formalize land ownership. A good alternative to living in a small city apartment may be your own house. Some categories of the population that can receive free land from the state, it may be particularly advantageous. Find out if you are eligible for the preferential obtaining of the earth. Among the population groups, which in this case helps the state, are families with three and more minor children, needy families, the number of categories of public sector workers, young families and other categories of the population who have the right to put in the queue to receive housing from the state. Collect the necessary documents. You will need to show papers confirming your rights to benefits - the certificate of family low-income status, family composition, marriage certificates and the birth of children, certificate from the place of work. Depending on status, you may need other documents to be determined by the local authority. Stand in the queue in need of better housing conditions, if not already done so. In Moscow you need to apply to the district Council, in other cities - to the district administration. When registration find out whether your region's program to provide land and can take part in it. If the program for the issuance of land there, wait for your turn to do it. You have to plot to have all communications. 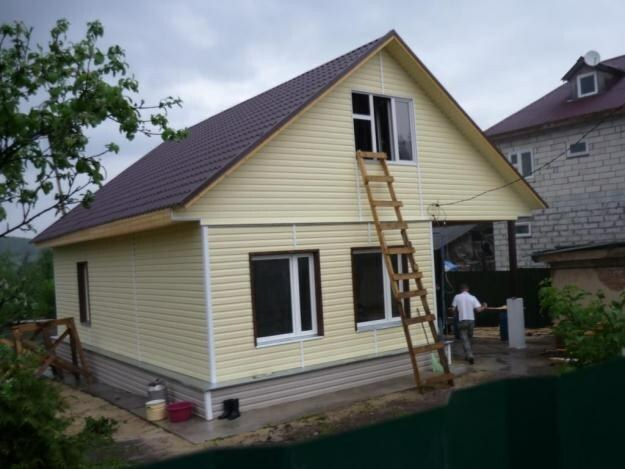 Construction you will need to conduct at its own expense, but some categories of the population, for example, families can receive interest-free loan for the purchase of building materials. After obtaining the certificate to ground yourself arrange it in a property. This must be done through the local authority on whose territory is your land. In that case, if you are not satisfied with the land offered, for example, in connection with its location, you have the right to refuse it. Your place in the queue will be saved and you will be able to wait for the next option for construction. The right to free land provided by the legislation of the Russian Federation. But to use this right not everyone can. At least three minor children. The exception is children enrolled in full-time in educational institutions, and those who are in military service. In this case, the age limits increase to 23 years. Children are not only native, but adopted. All members of a large family must have the same residence and live at the same address for at least 5 years. All family members must be citizens of the Russian Federation. The ownership must not be flat, no house, no other land. Neither of the spouses has been deprived of parental rights. The need for land documented special authorities. If all conditions are met, a large family can collect the documents and submit them for consideration to the municipal authority, which, in turn, is obliged within 30 days to consider the request and give an answer. the conclusion that the family really needs improvement of living conditions. All the above documents must be notarized, after which the package sent to the local authorities to the Committee on the use of municipal land. In a statement, it is also important to specify at what point the family would like to plot, but within the municipal district. On consideration of the application of the law allocate not more than 30 days. If the answer is positive, then within a year a large family enters land in the target use. You should know that getting free land, the family is automatically removed from the queue for an apartment if one was available. In case of refusal of the municipal authority shall specify the reason why the application was rejected. Then the family can either appeal the decision in court or to submit the documents again.